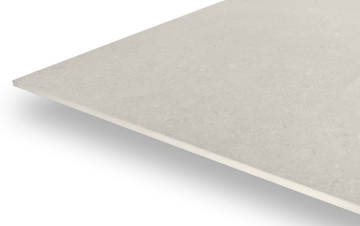 Every one of our White Sandstone tiles are measured at 60cm x 60cm, providing freedom and flexibility for you to utilise them within any indoor design. 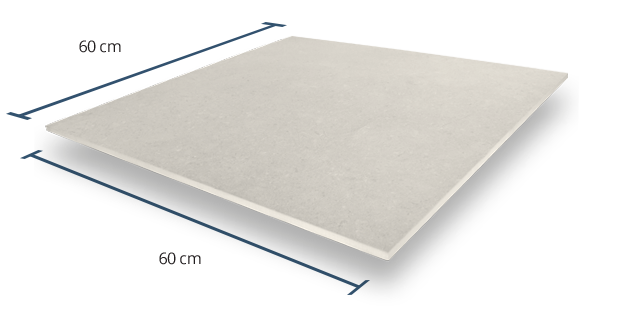 With a thickness of 10mm, this product requires a traditional installation method using a suitable adhesive such as grout or cement. 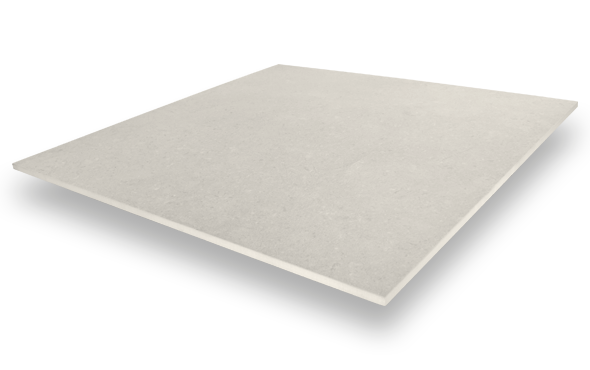 With a Grip Factor rating of 2, these tiles are only suited for indoor use. 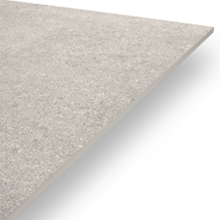 Each PrimaPorcelain product is rated on a scale of 1 (very low slip resistance) and 5 (very high slip resistance). 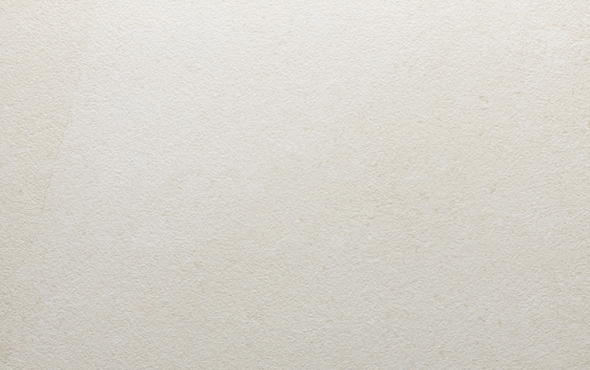 A Shade Variation rating of V2 means that despite some subtle variations in colour between each tile, the finished floor will be fairly consistent when it comes to overall shade and appearance. 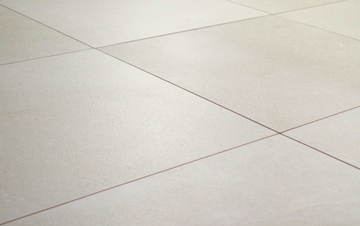 These 10mm White Sandstone tiles have a smooth finish, providing ideal comfortability for the use within indoor spaces.